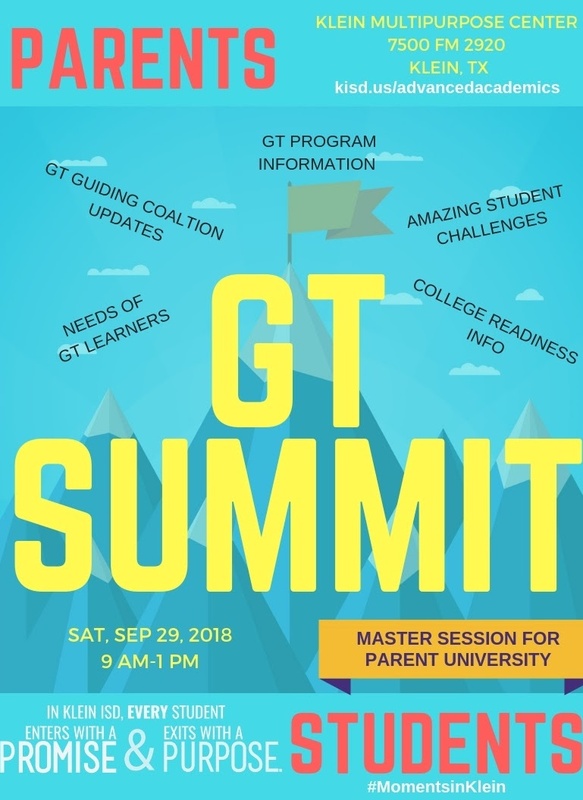 Klein ISD is excited to host the second annual GT Summit this Saturday, Sept. 29, 2018, at the Klein ISD Multipurpose Center beginning at 9 a.m. Students of all ages and their families are invited to attend this day full of engaging activities, dynamic challenges, and hands-on learning activities. Families are invited to attend sessions and discussions about gifted services, advanced placement options, college readiness and much more. To learn more visit https://kisd.us/GTSummit. We hope to see you there!